Forum "Preparing for the Marathon. Stages and features"
huge modern stadium with 70,000 seats. underground and above-ground parking. hotels, pubs and medical clinics all around. there is a huge square at the stadium to keep the same huge queue. 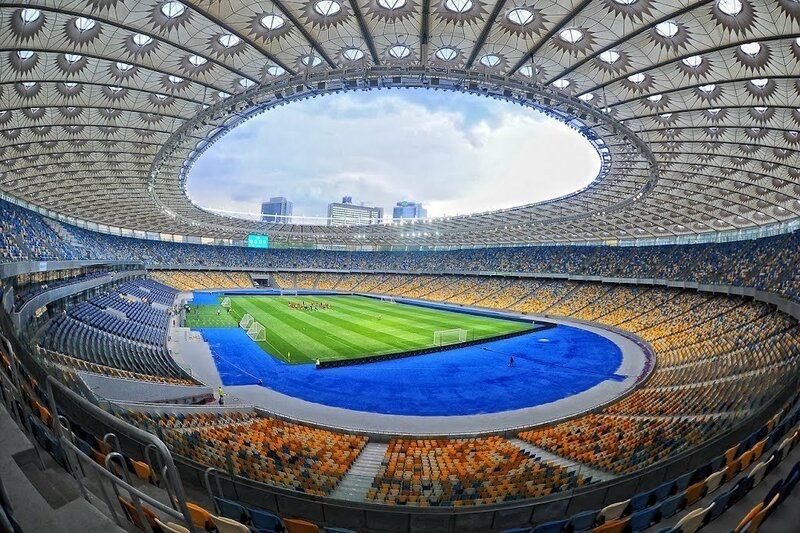 now it is the home arena of «Dynamo Kyiv» but we are happy to invite all of you to the Champions League final. besides, you can at the same time visit the Klichko brothers museum at the stadium (champions in super-heavyweight boxing). one drawback, this is the unfinished Sheraton hotel. it is empty and ghostly like Chernobyl. I hope real madrid the winner in stadion olimpiade kiev REAL MADRID 5 0 LIVERPOOL IAM FROOM BALI GOOOOOD LUCK ! This National sports complex has the best stadium in Ukraine, Where only major sporting events are hosted. It has different conference halls. It's situated in the centre of Kiev, close to a five star hotels and magnificent restaurants.